Ander Herrera could make his return for Manchester United for the fixtures against Manchester City and Chelsea later this month. This news has been announced by manager Ole Gunnar Solskjaer during his pre-match press conference ahead of tomorrow’s Premier League game against West Ham United at Old Trafford. 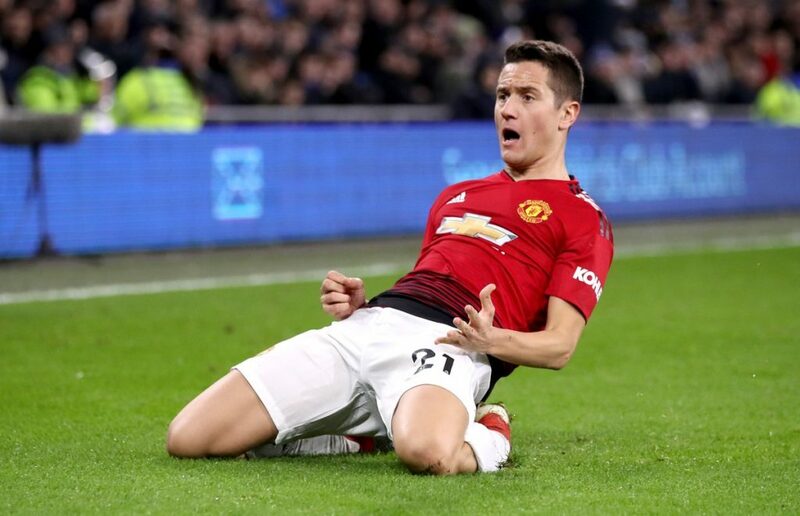 Herrera has been absent since our 2-1 win over Watford on 30 March in which he was substituted just after the hour mark. “He’s been working really hard to get fit from his injury that he sustained against Liverpool. “Then he came back and he got a different one here in training, because he’s been really putting a lot of work in. Manchester United host West Ham in Saturday’s evening kickoff before we travel to Barcelona on Tuesday for the second leg of our Champions League quarter-final. As regards to transfers, I don’t think manutd should continue signing very expensive players or paying them so much for nothing. Sanchez is now a waste of money., pogba and Co will also demand for pay rises because of Sanchez. They Should go for cheaper but better options like upamecano from Leipzig and many more. And manutd should dispose off some averagely poor players. Players like young, Jones, Lingard, rashford, Valencia Sanchez are all average.